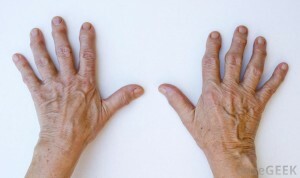 There are two main sorts of arthritis -Rheumatoid arthritis and Osteoarthritis. Rheumatoid is treated with a variety of anti-inflammatory drugs, disease modifying agents and surgery. 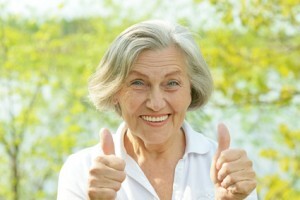 Osteoarthritis is treated with painkillers and surgery and is the sort people develop, as they get older. We used to think that it was due to wear and tear. I used to treat the latter and refer the former to my specialist colleagues. My sister had a third sort of arthritis which is rather less common- ankylosing spondylitis – which failed to respond to conventional treatment and responded to a specific diet, called the London AS diet. It turned out that one of my patients had gone into remission with her AS 7 years previously by following the same eating plan. Both my sister and my patient used these diets to control their arthritis rather than drugs. That set me reading and thinking. For rheumatoid arthritis I still refer people to my specialist colleagues but I also suggest they try a real food diet called low carbohydrate healthy fat. We know such people are at higher risk of heart disease so it makes sense from that point of view. However, I have found that some of them go into remission only if they follow the diet in addition to the drugs, and that some go into remission on just the diet. Even if it does not directly help the arthritis, it is still worth following the diet to prevent weight gain and metabolic syndrome, at the very least there will be less weight going through the large joints. For osteoarthritis it is also worth losing weight and reducing the strain on the joints by following a real food, LCHF diet. On a personal level, I also found that my finger joints were no longer swollen when I had been following LCHF for 4 months. One of my patients was a woman of 79 with Rheumatoid arthritis who had been treated for 30 years with disease modifying agents to no avail. She was always in a state of active inflammation. She agreed to try a LCHF diet and she went into remission for the first time in 30 years after 6 weeks of trying it.